The Teacher Reward Scheme is here! We are kicking off 2019 in style with our Teacher Reward Scheme, offering registered teachers from primary schools in England and Wales the chance to be rewarded with free posters and sticker packs, and even a chance to win a visit from the Premier League Trophy. Visit our news story about a recent Premier League Trophy visit and find out what to expect! 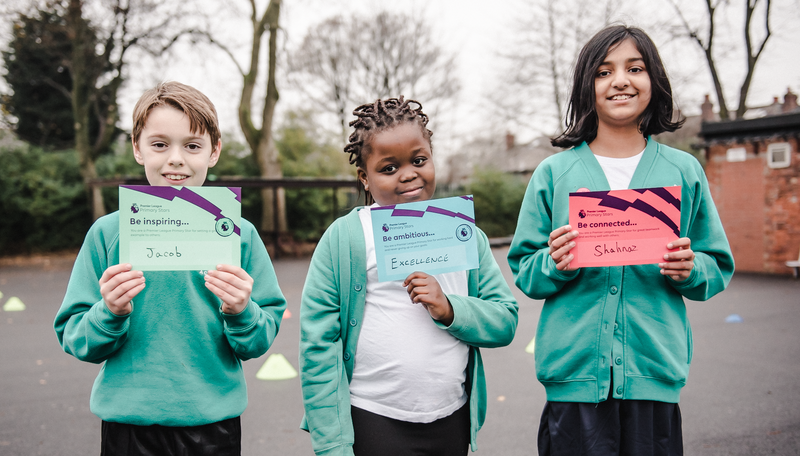 Our ambition in launching PLPrimaryStars.com has been to provide exciting teaching resources and tools that teachers can come back to again and again – and we are excited to have over 15,000 schools across England and Wales on board! With the launch of our Teacher Reward Scheme, you can be rewarded just by using our website, whether it’s downloading a resource, saving a pack, setting up pupil accounts or simply logging back in. Get active on the website. Activity including logging in, downloading or saving resources, watching videos, creating classes and more all count towards your rewards. Collect badges. Your activity on the site earns you badges. You can see the badges you have already earned, and how to work towards new badges in ‘My badges’ within your ‘My account’ section. Claim a Class Values Pack. You will qualify for a free Class Values Pack (available in English or Welsh), containing Premier League themed posters, certificates and stickers when you earn three badges; and a top-up pack when you receive a further three badges. Win a Premier League Trophy visit. If you earn the full set of badges before the end of the academic year, your school will be entered into our prize draw* to receive a visit from the Premier League Trophy! So, continue exploring our teacher content and when you’ve qualified for your first pack, you’ll get an email in your inbox explaining how to claim.